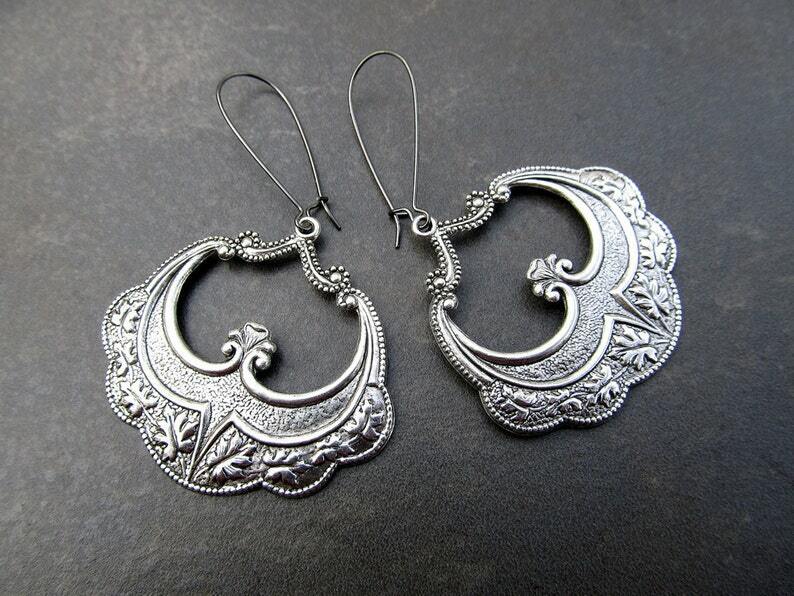 Dance under a gypsy moon with these funky earrings! Beautiful Art Nouveau detailing of oak leaves dance about on these made in the USA brass stampings with a silver finish. Last photo reflects the back of the stamp. nickle safe gunmetal kidney ear wires. Very quick delivery! Absolutely love the earrings, couldn’t be happier! Thank you! Beautiful! Thank You! Quick Delivery!